In this month’s MTC interview discover more about Tom Hayes, son of Bob Hayes, race director of 3 trail races (Evaro Mountain Challenge, Devils Backbone and Old Gabe 50k) and retired Math Professor at MSU. He is just as active as his father running and exploring. 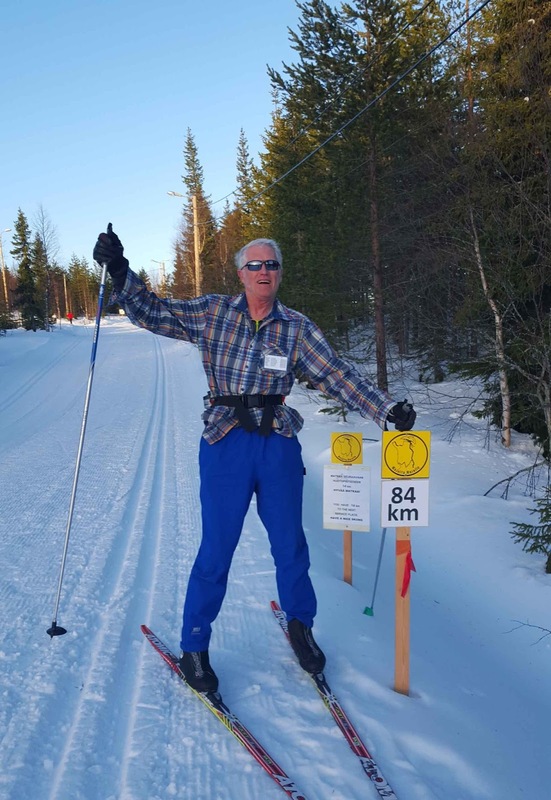 He recently returned from a 440km border to border ski adventure in Finland. 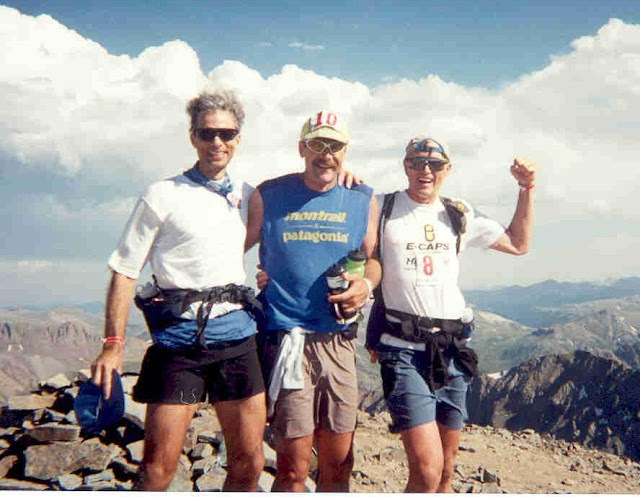 Tom has completed over 50 mountain ultras in 6 states and thirteen 100 milers including Hardrock 100 mile and Bighorn Mountain Wild and Scenic 100 mile. Please tell the readers a little bit about yourself. I started to run competitively as a sophomore at Frenchtown High School in 1967 and have not missed a year since then. I didn‘t realize at the time that I had inherited great running genes. In fact my father used to tease my brother and I about running around in circles. I eventually got into marathons, triathlons and then ironmen. Please tell the history of Evaro Mountain Challenge and what is something unique about the race? In 1986 I was going to grad school in Missoula. Dad was chairman of a committee to restore the Evaro School House. The committee came up with the idea to put on a 5K/10K to raise money. They asked me to organize the run. I had been running all over the logging roads on Dad’s place and the Flathead Reservation, including a few connecting single tracks. When I mapped out the courses I figured the 10K runners could handle a little more adversity than the 5K runners. It didn’t seem too unusual to incorporate a small amount of trails for them. The race never has really taken off like some runs around Missoula so maybe the trails do scare people off. Considering you and your father, who influenced who more as a runner? I think at first I definitely influenced Dad in his running – what to wear, how to train mainly. But I left in 1988 to go back in the Army and he was on his own. There is a whole story about how he progressed from never wearing a t-shirt as an outer garment to running in tights and T-shirt. 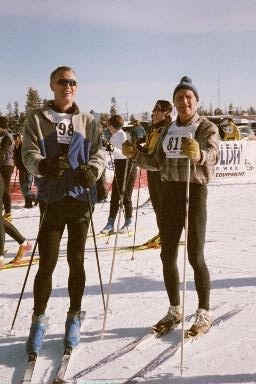 After I left he progressed through from 5K to half marathons and suddenly did the leap to a 50 mile trail run in 1996. I came back on vacation in mid-summer and ran the last 11 miles of the Elkhorn 100K with him. I was hooked. I retired from the Army in January 1997 and was running all the ultras with Dad that summer. So now he was the big influence. 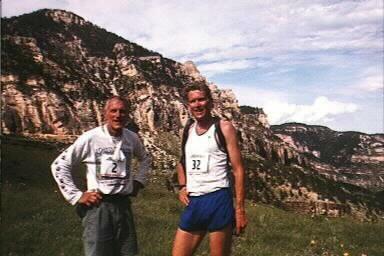 In 2000 I moved to Bozeman and did the Old Gabe (then called the Jim Bridger) 50K. It was so tough for a piddly 50K that I loved it. By 2003 the race director was going to Hawaii so I took over. I had to change the name and the start so as not to conflict with the Jim Bridger Trail Run. I advertise it as the toughest 50K in the USA. The Speedgoat in Utah may be equal but no harder. 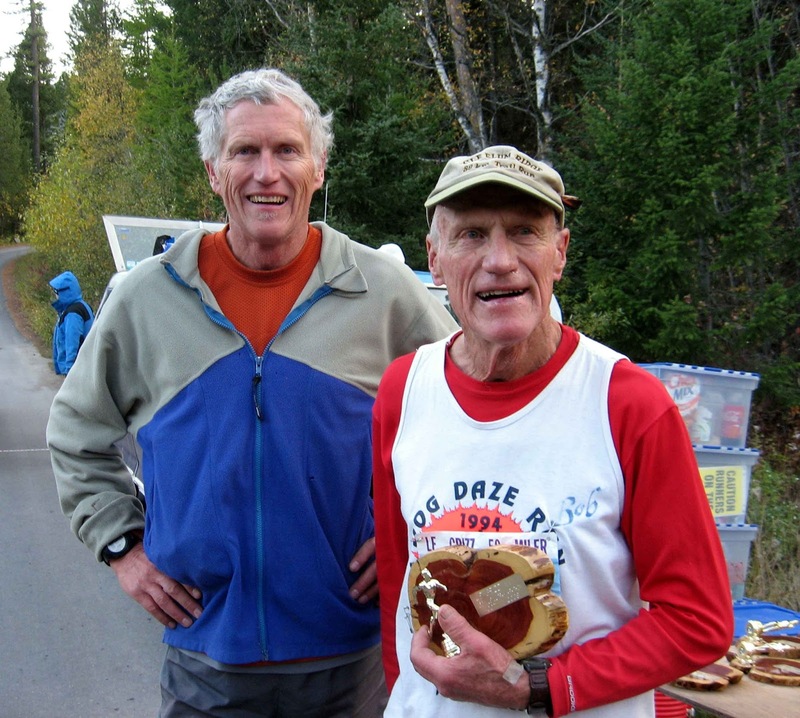 Do you anticipate having the same longevity as a runner your father has enjoyed? There is essentially no comparison to Dad and I in our running now. He still races 30 or more times per year, mostly 5K and 10K’s. He is very imbedded in the Missoula running scene and feels like if he didn’t race most weekends he would end up in the ditch and be found in the Happy Hunting Grounds. I rarely do 10K’s and do only one or two ultras a year. Instead I am out hiking and running on trails all summer, Nordic skiing all winter and searching for elk horns in the Spring. Since Bob Hayes is my father, I feel compelled to keep exercising (in fact I feel like I have no choice). If he is not sitting on the couch yet, how can I? It is really a major issue that I can’t quit if he doesn’t. 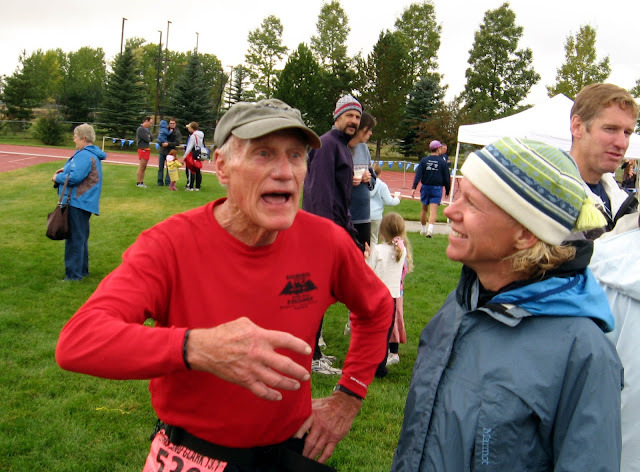 Thank you Tom for all your energy and effort you put into staging 3 fantastic trail races (Evaro Mountain Challenge on May 21, Old Gabe on June 18, and Devil's Backbone 50 on July 16). Your zest and passion for running leads you to create memorable opportunities for trail runners. We appreciate all that you do for the running community.